The site is described as a 5 star family friendly caravan site. The site is certainly of high quality. We stayed in a friends caravan which was in excellent condition, although I do not know if this is the same for all the caravans. I don’t have any reason to suspect that they would not be. The facilities on the site are good, and well suited for children and babies. All the buildings on the site are designated as no smoking, which is a real plus when you have a young baby that you don’t want to expose to toxic cigarette smoke. This includes the entertainment areas, which is one of the areas where in other sites you have to arrive extremely early to be able to get into the non-smoking areas. The arcade machines are better than those in the main part of the site, and the prizes on the “ticket games” are much better. 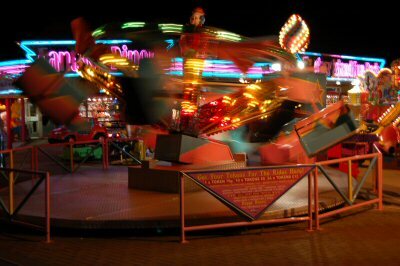 Although the minimum prize is for 50 tokens they include some good quality stuffed toys, including a rug-rat doll which effectively cost about £6 (this depends upon the game machines used and your skill rating, but is achievable). The swimming pools are good, including a regular outdoor pool, and indoor pools with a flume and slide as well as a baby and toddler pool. When we went in the water was quite cold, even in the baby and toddler pool. This may have been due to a problem with the pool heating, as the outdoor pool had a warning it was below the normal temperature. The changing area included a baby changing table, and although it didn’t have dedicated family rooms did include a communal area where family members would wait (with their children) for others to get changed. Other nearby facilities include a horse riding stables located just off the site (suitable for children and small adults), and some nice areas to walk. 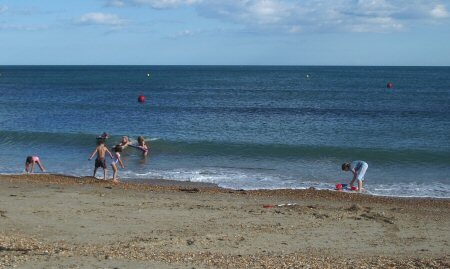 It is just over a mile away from Lodmoor Country Park, including the Sealife centre and about 2 miles from Weymouth. There is also a regular bus service if you don’t want to drive (or to save on the car parking costs). This entry was posted on Saturday, September 9th, 2006 and is filed under Babies, Children, Holiday, Tourism. You can follow any responses to this entry through the RSS 2.0 feed. Both comments and pings are currently closed.